Should People Read into Pettine’s Comments Regarding Manziel? Cleveland Browns’ head Coach Mike Pettine visited Johnny Manziel in rehab yesterday for the first time since the quarterback voluntarily entered treatment January 28. While the team is happy Manziel entered treatment, Pettine’s comments do not necessarily show much faith in Manziel’s future as the starting quarterback of the Cleveland Browns. Should we read between the lines to figure out what Pettine may be suggesting? It sounds like Pettine, who just completed his rookie season as a head coach, believes Manziel has issues deeper than enjoying the limelight by partying with A-List celebrities. Manziel originally stated he entered rehab to get his mindset correct which I believe was his way of saying he needed to get his priorities in order. He was fined by the team for showing up late to team meetings and suspended for the team’s final game because he missed treatment on his injured hamstring because he was heavily intoxicated the night before. 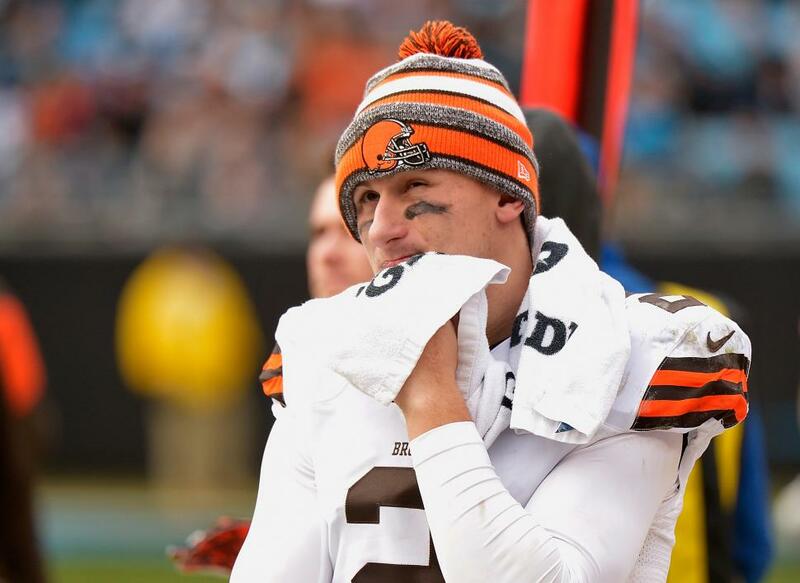 After Pettine named Manziel his starting quarterback, he struggled completing 50% of his passes for only 112 yards and two interceptions before leaving his second start due to injury. With Brian Hoyer a free agent, Manziel had a good shot to go into the season as the starting quarterback if he hadn’t entered rehab. Now, Manziel’s future seems cloudy. Who knows how long Manziel will be in rehab. Cleveland has some tough decisions to make regarding who they expect to lead their quarterback troops. Do they re-sign Hoyer, go after another free agent quarterback, seek a quarterback in this year’s draft, or hope Manziel gets out in time for organized team activities in March? When questioned at the NFL Scouting Combine, Pettine had this to say. I am sure Pettine would like to see Manziel get out of rehab and have a successful season as the starting quarterback of the Cleveland Browns. However, he divulged too much information about Manziel. First off, I am sure Manziel will hear his coach’s comments and possibly withdraw himself from rehab before he is ready because he fears not being in the mix for the quarterback position this season. Secondly, Pettine’s statement about Manziel’s issues being deeper than he thought seemed to throw him under the bus. He should know the media will run with that statement and question Manziel repeatedly about his time in rehab and what his coach may have meant by that statement. In retrospect, I am sure Pettine was just trying to be completely honest in regards to what the team is looking to do at the quarterback position. When asked about the quarterback position, I may have answered this way. Watching your words with the media is easier said than done. Compared to Pettine’s response, my possible statement to the media gives more of a feeling like the team is just looking to make the quarterback position as competitive as possible. It looks like Manziel will be in the mix to compete without him feeling the pressure to leave rehab before he is ready. As a professional athlete, Manziel should welcome competition and have confidence in his skills set. Please visit The Game Day Report at http://thegamedayreport.com to read more of my articles and some by other writers on a number of trending topics in the sport’s world.